Thread: Replacement Disc Rotors for Alcon / PWR Brake Kits! 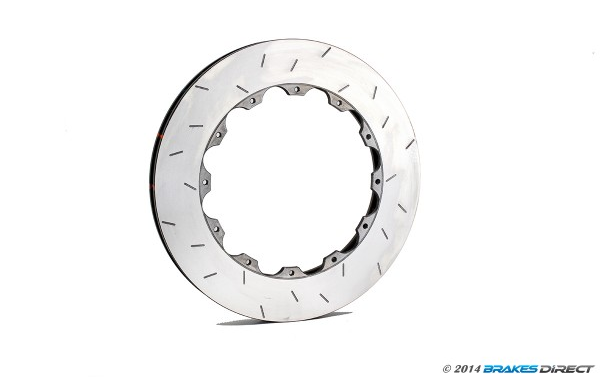 Brakes Direct is excited to announce our range of 'NS' Slotted Rotors to suit Alcon / PWR Big Brake Upgrade Kits! Up until recently the only replacement rotors available was the Alcon rotor, which at $600-$700 each (not including nuts) was a little hard to swallow for most people.... So, we've had DBA make them in our special 'NS' slot pattern, with DBA's patented Kangaroo Paw ventilation system! As a bonus, upon request DBA can make the rear rotors to match if you only have a front kit, in that same slot pattern! All prices include delivery Australia wide, and all in stock for immediate online ordering! Any questions at all just give us a call, 1300 724 943! Sick of paying too much for high performance brake pads? Want high performance and cold bite with low rotor wear? « Last chance to win Atko's driving gloves from Mexico thanks to Brakes Direct! JANUARY SALE: Alcon 4 Piston Caliper Upgrade Kits! Project Mu High Performance Disc Pads, Rotors and Caliper Kits!